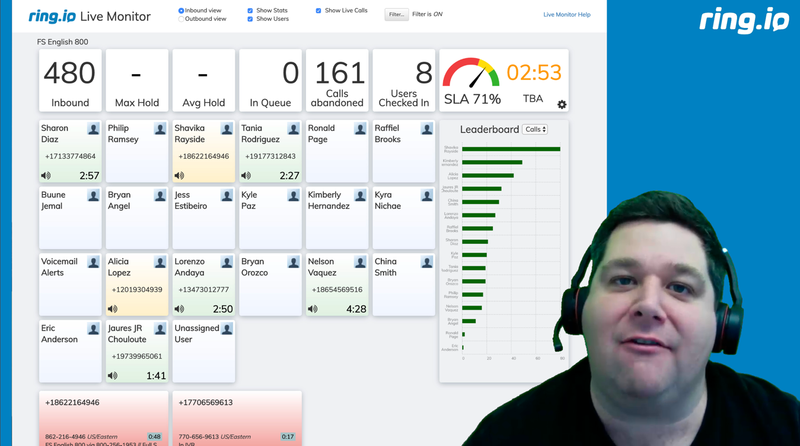 Live Monitor can help you track calling progress throughout the day. The call progress widget allows you to specify how many calls/day you’d like your team reps to do and the adaptive algorithm will show you whether the team is on track or behind hitting that goal. 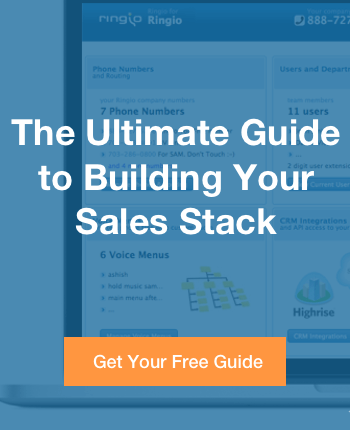 Most sales development teams are working towards a concrete goal with their prospecting activities, such as setting up demos, appointments, or making transactional sales. Live Monitor helps you track sales goals progress with Dispositions. Whenever your rep makes an appointment or sets up a demo or makes a sale, they can disposition the call with one drop-down selection and Ring.io will count the call towards goal completion. Live Monitor also includes a leaderboard that tracks both effort (# of calls) and result (goals accomplished). 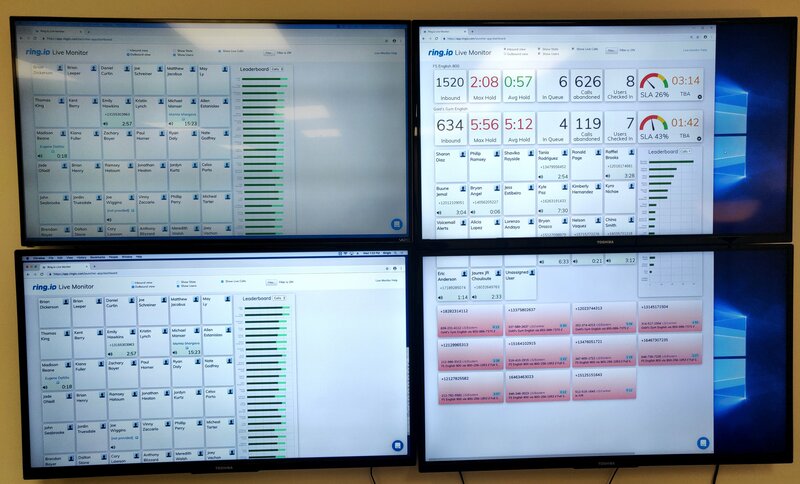 Live Monitor was designed to work as a wallboard – simply project it onto a TV connected to a PC and you have a great motivation tool for the team! Live Monitor can help you manage service levels in a number of ways: you can see at a glance how many people are queued up, how many reps are available, the maximum hold time and average hold time, and higher level metrics such as Service Level Agreeement % and Average Time Before Abandonment. You can break out the stats by team or department to focus on the most valuable call traffic segments. If you’d like to coach your reps, quality check their conversations, or join in on an escalated call, you can simply click on the speaker icon next to a call and listen in on the call right from your web browser.